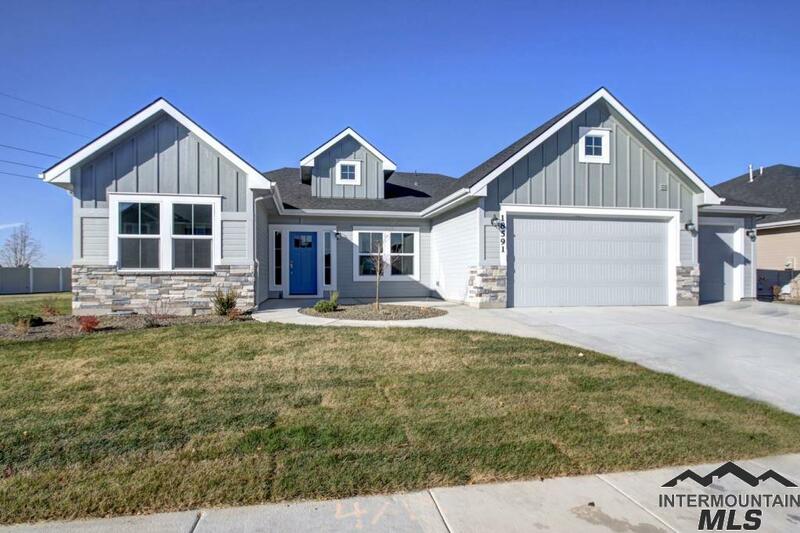 All Castle Peak homes currently listed for sale in Nampa as of 04/21/2019 are shown below. You can change the search criteria at any time by pressing the 'Change Search' button below. "Stunning Slab Granite counters throughout! Under-mount sinks & touches of quality upgrades are abundant! Check out this 2-story, 4-bedroom home with den & bonus room! You'll love the open floor plan & the upstairs laundry room with all the bedrooms! Den can be flex space or formal dining. Tandem garage for 3 cars or workshop/storage! Privacy vinyl fencing, covered patio & large covered porch! 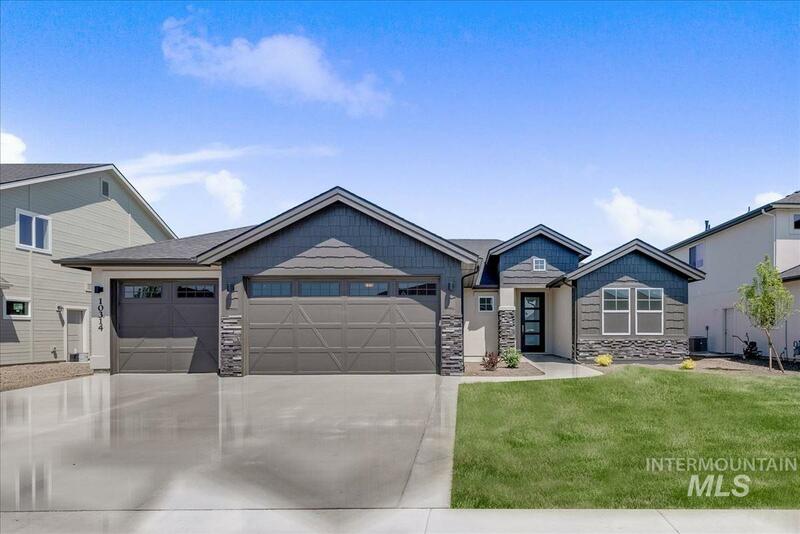 Don't miss out on this beauty in Vallivue School Dist! Dual zoned HVAC System works perfect for a 2-Stor"
"The Hudson by Riverwood Homes provides an open concept floor plan & pays close attention to detail. Full tile backsplash, beautiful granite countertops, & custom-made cabinetry featured in the kitchen & bathrooms. Separate dining area opens up to patio & backyard. Spacious master bedroom upstairs with coffered ceilings, dual vanities, full tile shower, soaker tub, & walk-in closet. Includes Bonus Room or possible 4th bedroom. Covered patio. 3 car garage. Full front & back landscaping"
"The Richmond w/ Loft by Riverwood Homes. This spacious single-level floor plan of 3 bed, 2 bath is complete w/ beautiful granite countertops, tile backsplashes, & custom-made cabinetry. Large Master bedroom features vaulted ceilings, dual vanities, full tile shower, separate soaker tub, & walk-in closet. Den/Office finished off w/ stunning French doors. Included loft or possible 4th bedroom. Mudroom includes custom built-in bench. Covered patio. 2 car garage. Full front & back landsc"
"Single level beauty inside & out. The entryway leads to the heart of the home, a gourmet kitchen w/ample room for cooking & entertaining. This split bedroom plan offers a private master bedroom w/spa like en suite bath w/his & hers vanities & clean line contemporary details. You'll appreciate the quiet corner home office & there's plenty of room for guests. Cozy up to the fireplace in the winter months or entertain outdoors under the large covered patio this summer. Plenty of room for vehicles "
"Beautiful custom home w/ upgraded features throughout. Interior features, Beautiful flooring, stunning kitchen w/ spacious granite countertops, gourmet kitchen opens into dinning and living rooms, A Master suite you have to see to believe and much more. Exterior features, covered back patio, amazing location with a community pool and park near shopping, hospitals, schools, freeway entrance and much more!" "Gorgeous single level plan with large 3-car garage, awesome lot (North facing backyard backs up to canal), great room, open floor plan, Chef's kitchen, large island, SS appliances, built in oven, built in microwave, 5-burner gas cook top, hood, solid surface counter tops in kitchen & both bathrooms, beautiful walk in tile shower in master, tile surround in main bath, floors in laundry & both bathrooms, large covered patio, gas fireplace, stucco exterior, full sod, full auto sprinklers & front la"